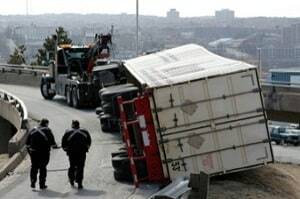 Truck accident attorneys in Maryland alleging negligent supervision seek to impose liability upon the trucking company because it knew or should have known of the employee's negligent conduct. For example, if a truck driver had a history of rear end truck accidents and the employer failed to do the appropriate background check. If the truck driver got in yet another rear end accident, counsel representing the truck accident victim would argue that the trucking company either knew or should have known of the conduct of the truck driver was might occur (at a risk disproportionate to other truck drivers). You might ask what is the difference between negligent supervision and negligent entrustment? The difference is nuanced but worth understanding because there are some cases where it might make a meaningful difference. Some courts hold that they are distinctive torts because negligent entrustment is derived from the use of a motor vehicle, while supervision claims is not necessarily linked to the use of a motor vehicle. These states have held that entrustment arises out of the ownership or use of a truck or car (or some instrumentality). Still, why does we care if there is a difference if both are saying basically the same thing? The reason the difference may matter is because some trucking insurance policies exclude entrustment but not supervision. In serious injury and wrongful death truck accidents, sometimes the most important thing you can do for your client is understand where to find the insurance and how to plead your lawsuit to maximize the insurance coverage. Maryland courts have never direct addressed this issue. Most courts outside of Maryland, however, have construed claims of negligent supervision and negligent entrustment are basically synonymous for the purpose of the exclusion contained in the truck's insurance policy. So are you probably going to be okay either way? Yes. Is it worth it to make sure you plead both claims correctly in separate counts to make sure there are no coverage issues? Absolutely.